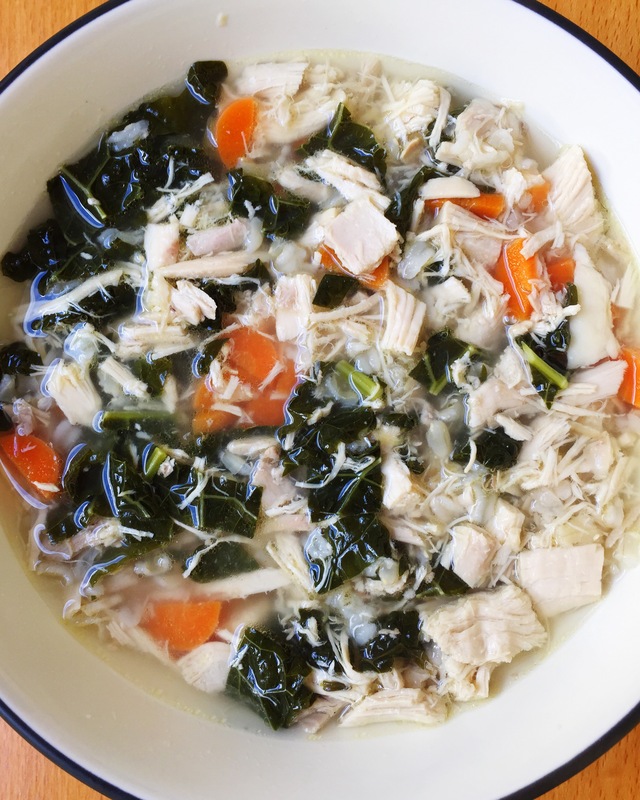 This recipe – Chicken Soup with Kale and Carrots – is all right. It’s certainly easy, if a little time consuming, just because you’re making the stock from scratch. However, it’s a little bland. 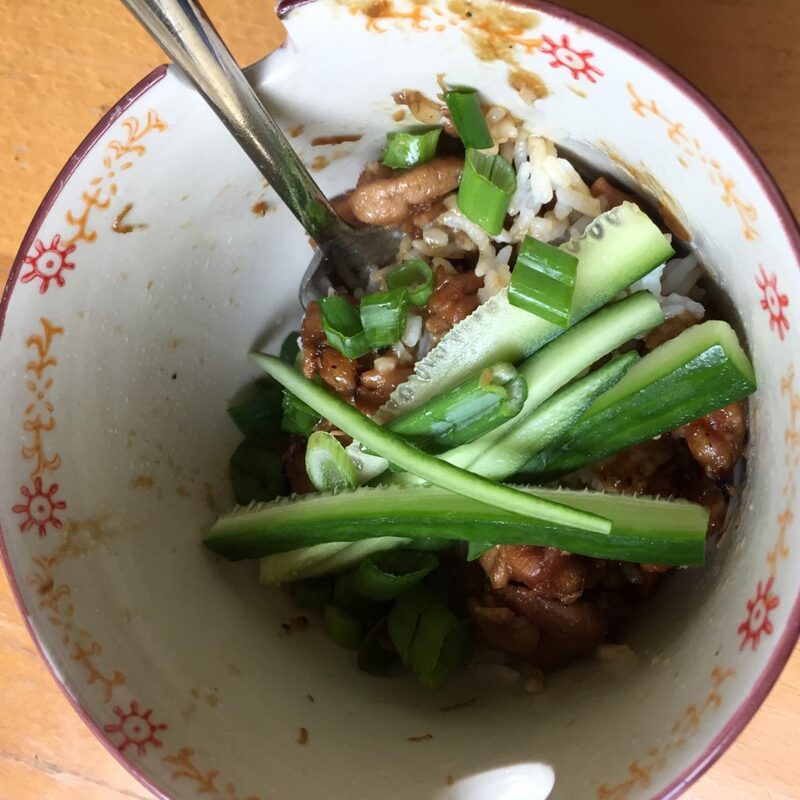 I made it a week ago and have been heating up the leftovers for lunch. I should have added more salt & pepper when I made it, I think. Overall, though, it’s a filling, healthy lunch. Combine the chicken, leek, celery, roughly chopped carrot, onion, bay leaf, thyme, peppercorns and salt in a large soup pot and cover with water (~10c). 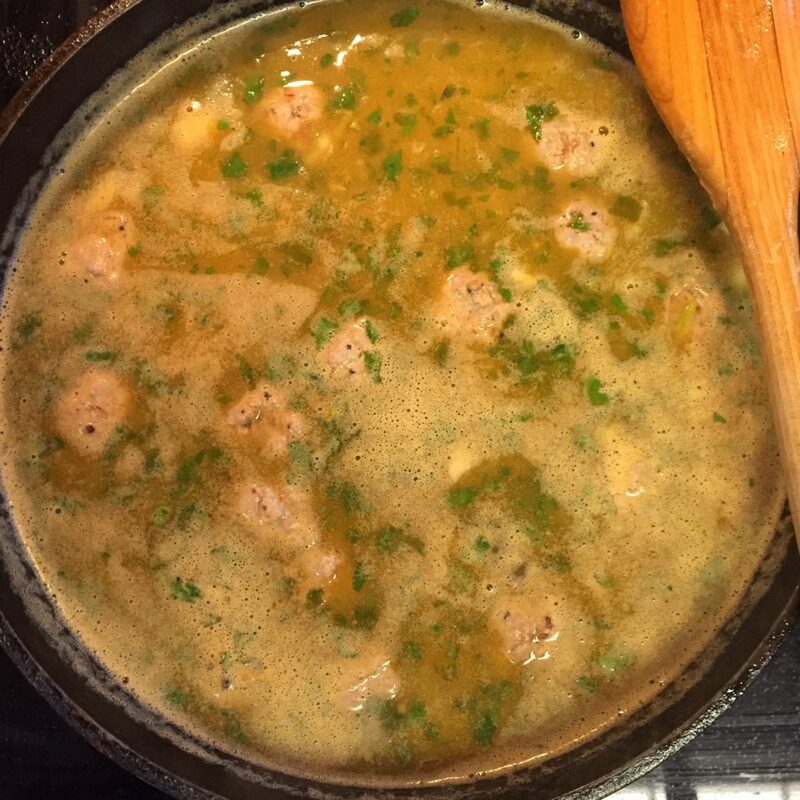 Bring the soup to boil over high heat, then reduce to simmer for about 2 hours. Strain the stock and pull out the white meat (I used both the white and dark meat, you can use just the white and reserve the dark for another use. However, pulling just the meat out wasn’t the easiest thing in the world and further separating light from dark just wasn’t going to happen.) Dice the chicken meat. Add to soup along with remaining carrots and the kale (I also threw in a handful of brown rice.) Simmer for an additional 20 minutes. Season to taste with salt & pepper.